Nokia 8 was recently revealed by Evan Blass on Twitter in two colors, and the design isn’t that impressive if we consider the fact that 2017 is the year of bezel-less phones. It looks like yet another smartphone and has nothing to impress with the design. The phone is coming with a dual camera setup on the back with Zeiss Optics and Laser Autofocus. 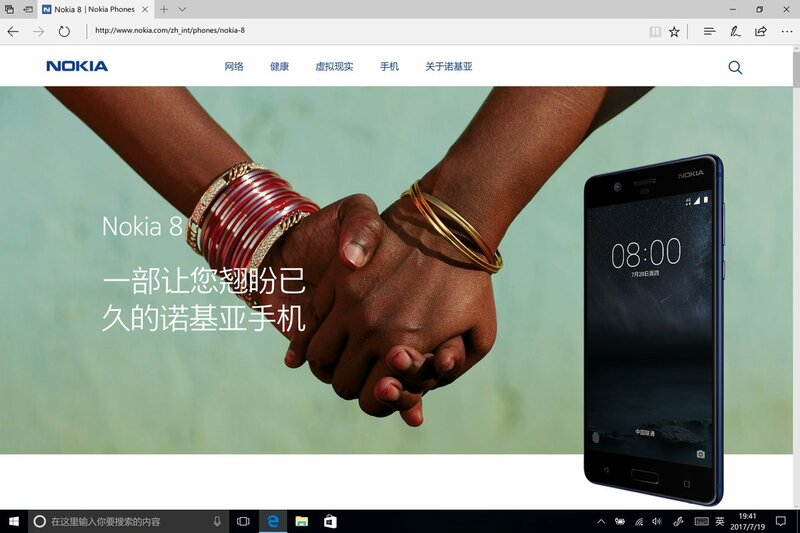 Today, however, the company itself gave a glimpse of the phone as the device accidentally popped up on the official website of Nokia revealing the front design. Just after an hour, the page was removed, but we were able to get the screenshot of the page. There is the date ’20th July’ mentioned on the lockscreen of the phone, but we guess that’s just a random date as there is no information on any event happening tomorrow for the launch of a new Nokia device. As per the specs, the Nokia 8 has Snapdragon 835 processor, 4GB RAM, 64GB ROM, Android 7.1.1 Nougat and Dual Cameras on the back. The price is $600+, and it will be available for purchase from 31st July, so this means that the phone is going to launch before the end of July. Who knows Nokia might unveil it tomorrow!